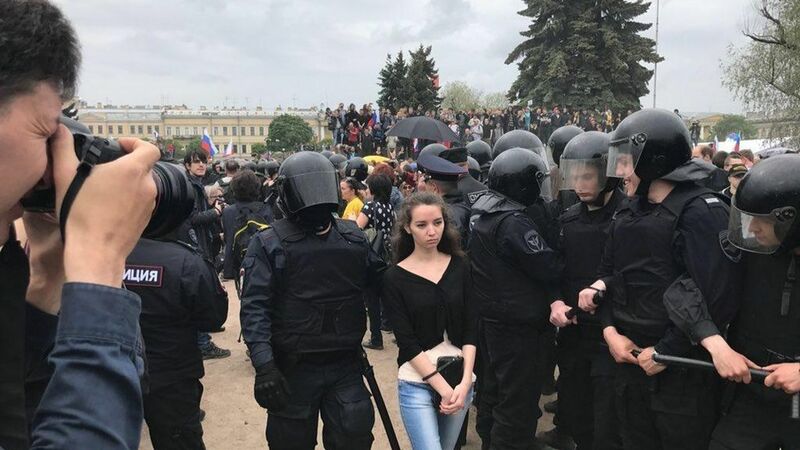 In celebration of Russia Day, Russians gathered in cities across the country this morning to protest government corruption, in what could be the biggest protest Russia has seen for years. City governments and authorities have attempted to ban the rallies, sanction them to side roads and arrest protestors, according to NYT. Arrests: Kremlin critic Alexei Navalny, who orchestrated the protests, was arrested in Moscow this morning. There have been reports of other arrests, including three teenage girls in Petersburg, according to Financial Times' correspondent Max Seddon. Why it matters: Navalny organized nation-wide protests in March as well, after which he was jailed for 15 days. The protests also serve as Navalny's attempt to force the Kremlin to let him run against President Putin in the 2018 presidential election. A felony conviction has held him back, but he claims the conviction was politically motivated.